Happy March! 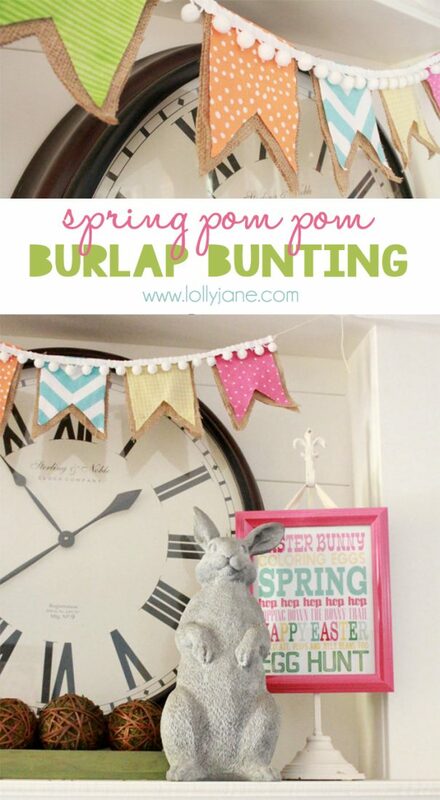 Here in Arizona the weather is bliss… we enjoyed an amazing rainy weekend and although our winter is when plants and grass are in full bloom, our pom pom burlap bunting is making it feel EXTRA springy around here! Every so often you will see our older sister Sandee, (we’ve nicknamed her our manager since she coordinates our quarterly craft nights,) on Lolly Jane… like today! We lovely love love her style and are happy she let us raid her house to share her pom pom burlap bunting that we will soon be knocking off (; It’s easy peasy to create and so cheery! String bakers twine between the fold of the bunting. Secure closed with a dab of hot glue. Hot glue the pom pom strand across the bunting. 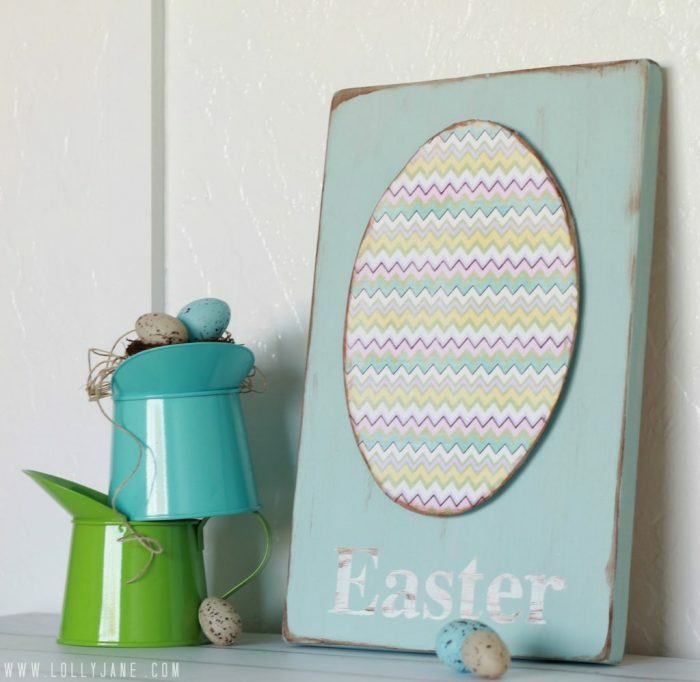 It’s a simple piece of decor but really brightens up the space, don’t you think? 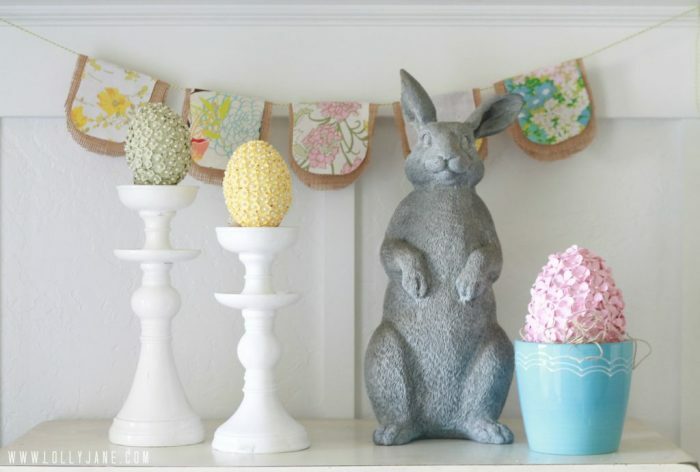 Or create an easy vintage spring bunting, too! I love the pom pom addition to the bunting. Love it! I have some fabulous pom pom ribbon from Pick Your Plum just waiting to be used. This is perfect! I so love anything with pom poms! Very adorable. Oh gosh!!! I just love this. Imitation is the highest form of flattery right? I may be copying this one!! So pretty. It puts me in the mood for spring even though it is 40 degrees here in south Texas…ugh!! Love the bunting. Thanks for the tutorial!! Sharing this today on fb! Super cute! Thanks for sharing! That’s so cute!! I live in Tucson and it’s been such nice weather compared to the rest of the country. Where did you find the picture stand that the subway art hangs from? Beautiful display! 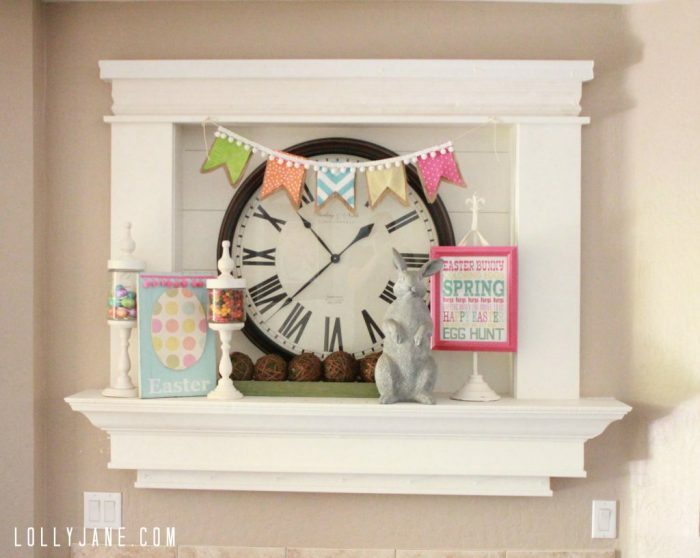 I love it- so cute and fresh- and the pom poms are the perfect addition. Everything you girls do is so darn adorable. Thanks for sharing! 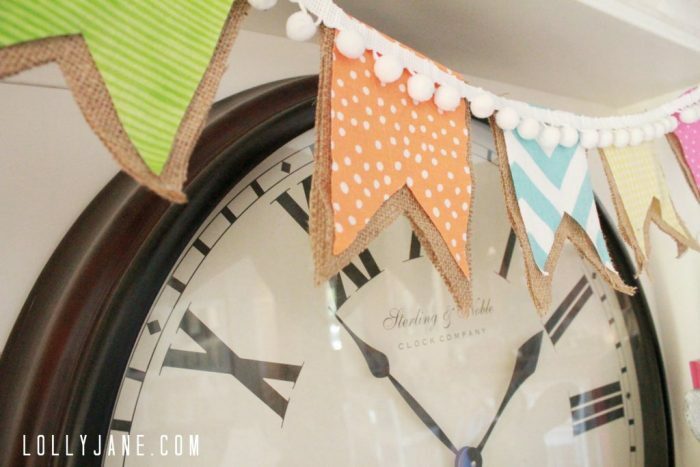 I am so in love with that bunting! The little pom poms are too cute! Awww that was a nice surprise! Poms are my fave!!! 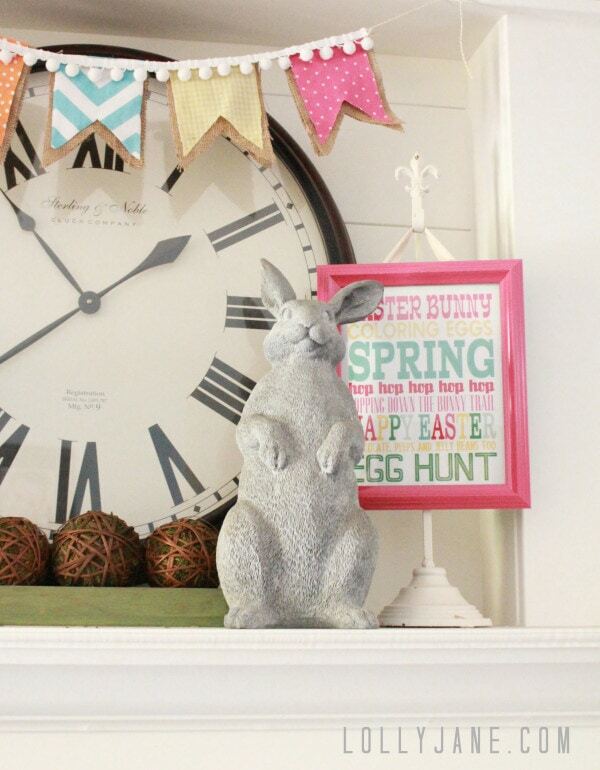 And I am stealing that dang rabbit this year once and for all. Bwa ha ha! 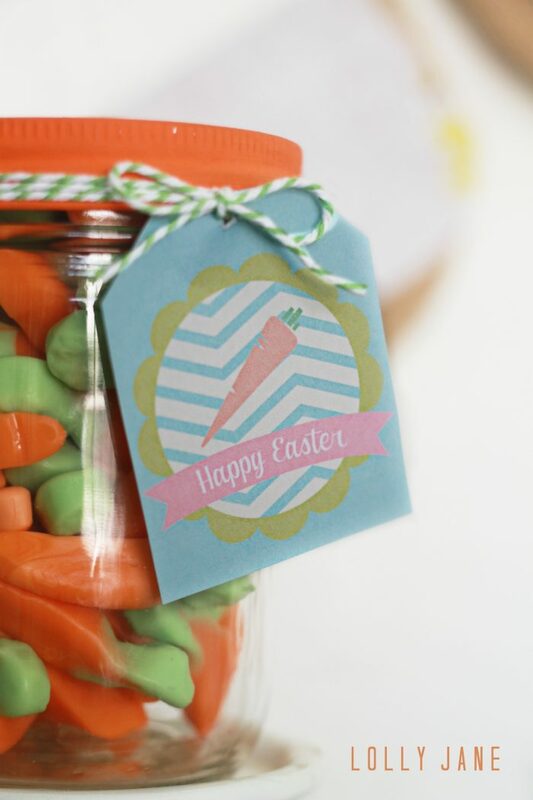 I love those lil candy jars!! How did you make those?? Oooh! I’ve been holding to some pom pom garland and now I know what to do with it!! Thanks for this! I know this is an old post, but I found you on Pinterest. Love this project, but unfortunately, all of the photos except the first one aren’t showing up–just little x’s! Hope it’s something you can fix, as I’d love to make this!